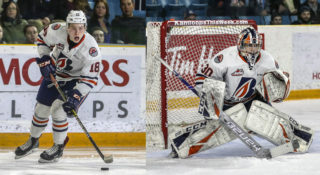 Kamloops, BC – The Kamloops Blazers have added 15-year-olds Connor Zary and Quinn Schmiemann to the roster for the week. 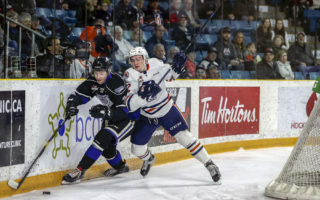 Zary was the Blazers second-round pick in the 2016 WHL Bantam Draft. The 5’11” and 160lb forward played this season with the Saskatoon Contacts of the Saskatchewan Midget AAA Hockey League. The Saskatoon native had 27 goals, 18 assists and 45 points in 36 games. He was 4th in the league in goal scoring and 12th in points. 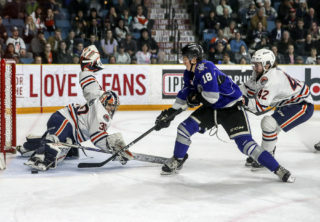 In four playoff games, Zary had two goals. 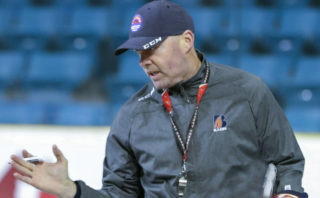 Schmiemann was selected by the Blazers in the third-round of the 2016 WHL Bantam Draft. He played this season with the Notre Dame Hounds in the SMAAAHL. The 6’1” and 160lb defenseman had 11 goals, 15 assists and 26 points in 42 games this season. In four playoff games, he had two assists. Zary and Schmiemann will practice with the hockey club for the week, and return home on Sunday, March 12th. 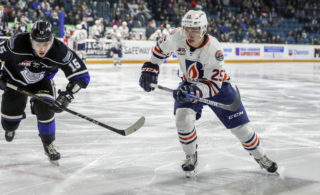 For ticketing information, please contact Ticketing & Promotions Coordinator, Missy Cederholm by phone at 778-471-8068 or by email at mcederholm@blazerhockey.com. For pricing information, follow this link.